No one knows the best travel-friendly skincare and makeup products better than this selection of Glamour-approved jet setters. Hours in a cramped plane is nothing but a recipe for tired eyes and lackluster skin. To battle the fatigue, these pros have compiled tried and true products that are sure to revive your jet lagged self. 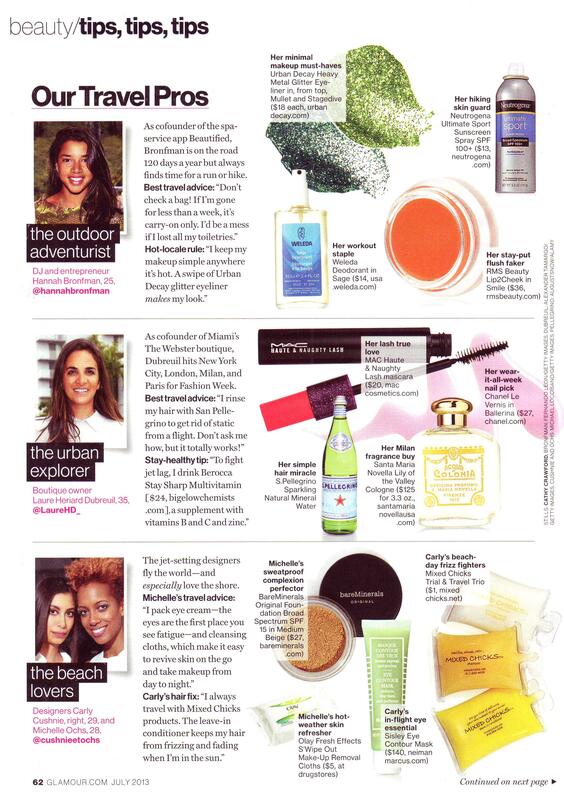 DJ Hannah Bronfman knows just how to remedy such a problem–with our richly pigmented lip2cheek. Because of its amazing color pay off, this multi-tasker will keep cheeks and lips flushed for hours. Choose from five unique shades that will make you the envy of all come landing time at your next summer destination.